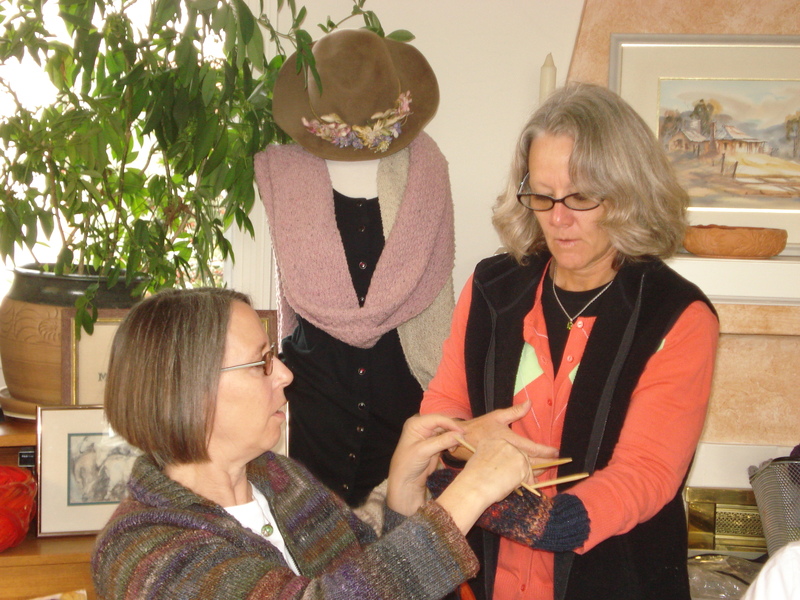 So many choices…so many knitters….great designs! Where to begin…this will be a random sampling of projects in process or finished over the last few months. PJ is knitting gloves for Afghans for Afghans and Susanne is her model! 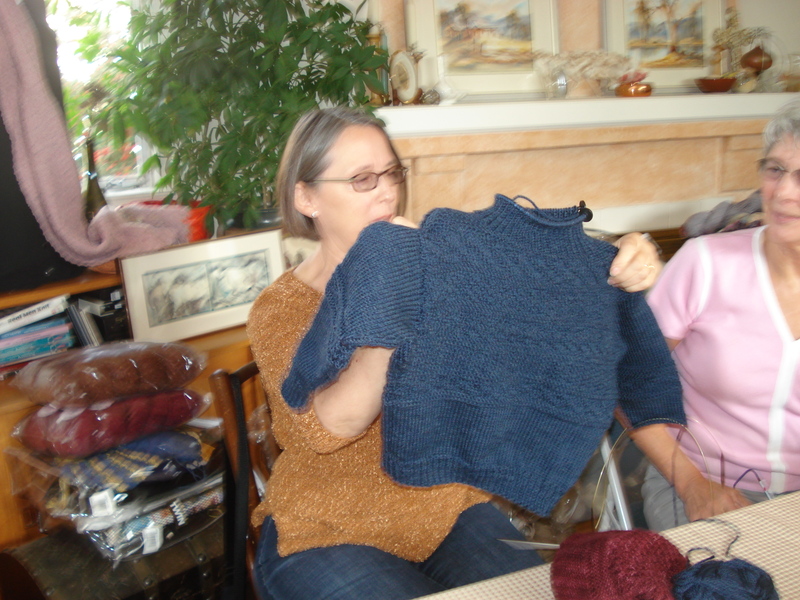 PJ has knit a second item for Afghans for Afghans. 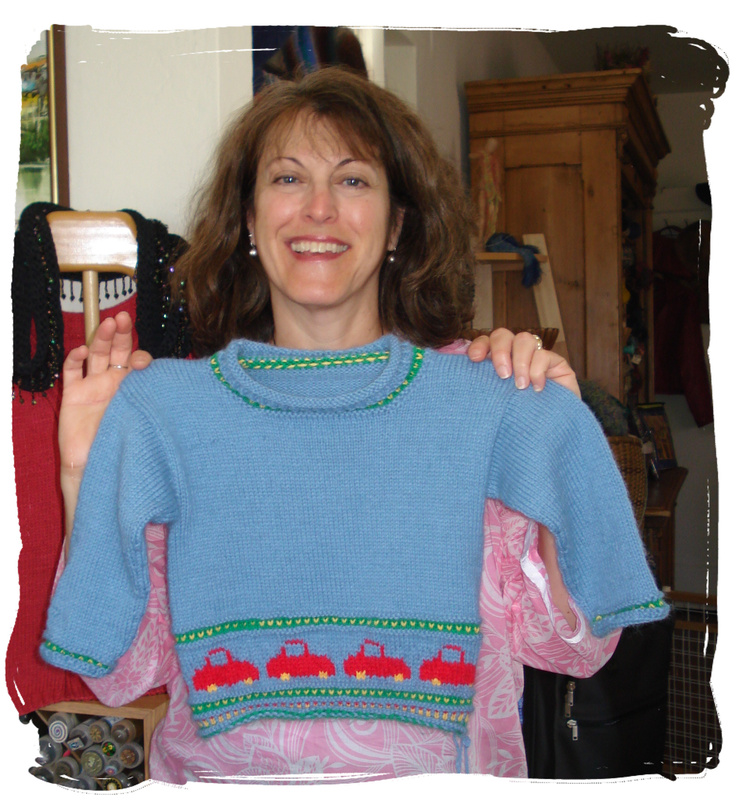 She has used a washable yarn to knit this gansey…a pattern Beth Brown-Reinsel. Terry’s needles are really clicking…it seems that she just requested yarns from her fellow knitters stash…and magically she appears with an almost finished afghan. 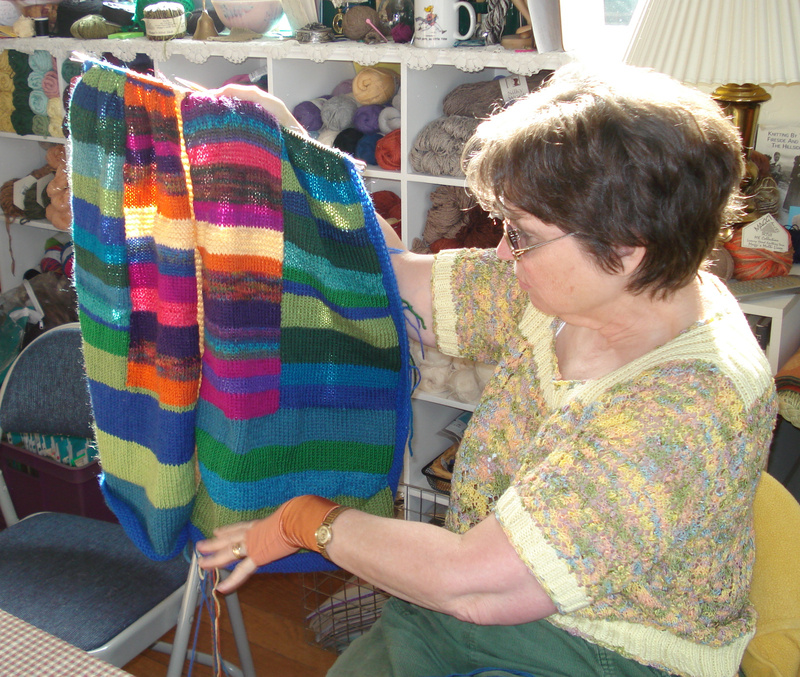 She has a lot of fun putting the color and fiber combinations together. Check out the link below – Afghans for Afghans. Given that I attached descriptions directly to photos in this post…I will list some of the links here for you.